We Do Water Right! We Do It For Less! Water Softener, Water Conditioning, and Water Treatment serving Central Florida & surrounding areas. Water treatment technology has improved greatly over the last 20 years. Today, we offer equipment that is of better quality, efficiency, and warranty, at a fraction of the cost of just 8 years ago. and CLEANER and SAFER WATER. Current chlorination systems can be converted to Hydrogen peroxide. The cost for this conversion in most cases in minimal. Last but not least, there is now a truly salt free water treatment (no salt substitutes). Its application is still limited and it is NOT a water softener. We will continue to service all our equipment and customers just as before. We also encourage anyone who has had a water test done by any company in the past and did not purchase because of price or financing to please call us. We believe you will be well pleased by what we have to offer you. others fail because our design has a proven track record! Single and dual tank systems for city and chlorinated well water. 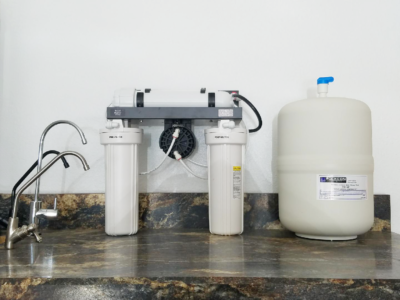 Systems provide triple treatment for water hardness, tastes and odors. Three treatments for one low price! Great NEWS! We have now converted to digital water testing! This new state-of-the art technology is more accurate and reliable than previous color comparisons. The exciting eXact iDip® Smart Photometer System ® by ITS, Inc. harnesses the power of smart devices and the simplicity of design to handle the heavy lifting of complex water testing. The smart phone app is designed to work seamlessly with the waterproofed handheld unit with parameter information, data storage and GPS tracking included. With guaranteed exact results in less time, our new smarter process will revolutionize water testing. Concerned about the quality of your tap water? Get a no obligation and no cost water analysis from a trained water treatment professional. We can recommend a salt delivery service just for you! JC Galloway & Son – The Water Doctor is your premier water purification and water softener service in Daytona Beach, DeBary, DeLand, Deltona, Ormond Beach, Osteen, and the rest of Volusia County in Florida. We also serve neighboring Flagler County, Brevard County, Orange County, Seminole County, and Lake County including the areas of Paisley & Sanford. If you are in the area surrounding Deltona & DeLand, Fl, we have you covered! 2018 Copyright © J.C. Galloway & Son Water Doctor Inc. All rights reserved.